Fully equipped Meeting Rooms available to hire by the hour in Edinburgh City Centre. Hudson House is a Georgian town house that has been restored to provide a stunning selection of prestigious serviced offices in Edinburgh city centre. 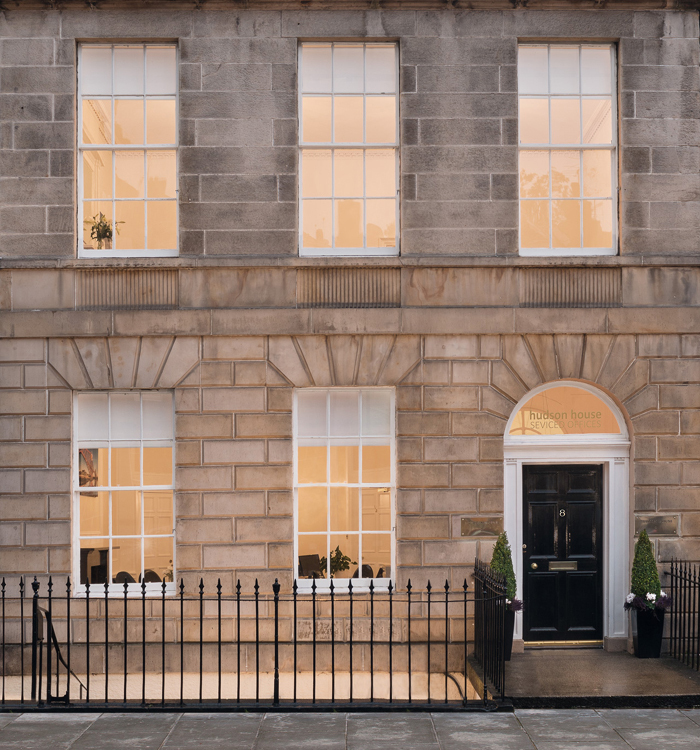 Hudson House is situated in the centre of Edinburgh’s New Town district, approximately five minutes’ walk from Waverley Railway Station and within easy access of the bus and tram links to Edinburgh Airport. Hudson House is independently owned and operated by a highly experienced management team who have more than 20 years of experience in the Serviced Office sector. Our aim is to ensure that our serviced offices continue to offer the very latest IT and telecoms products and services in a high quality office environment. 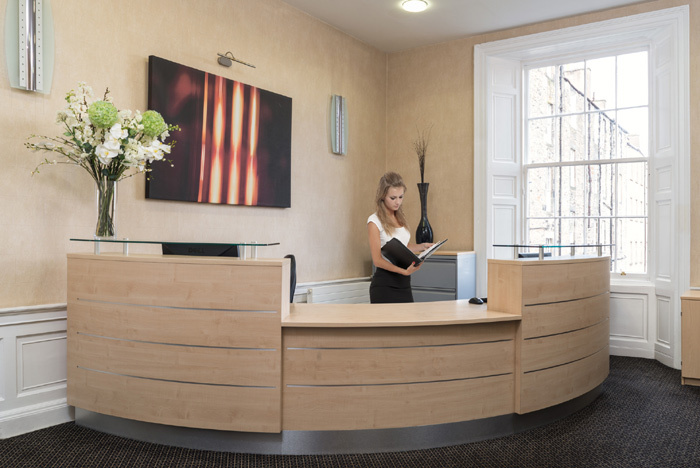 In order to provide your business with maximum convenience and flexibility, our fully furnished offices in Edinburgh city centre are provided on extremely flexible terms. This means no long term leases and the option to increase or decrease the size of your office suite as your business develops. We provide you with high speed fibre broadband internet access (80 Mbps), a Digital IP based telephone system and handsets, Voicemail and Cat6 network cabling. Calls can be answered by our front of desk reception team who offer an in-house professional Telephone Answering Service and will answer calls in your company name and take messages if you are unavailable. When you choose Hudson House for office rental in Edinburgh, you can be assured that you will receive the highest possible level of customer service. Our on-site Office Manager and front of house reception team are always available to take care of any issues or requirements that you may have, leaving you free to focus on running your business. Whether you need another desk installed into your office at short notice or simply need to make a last minute meeting room booking, we are always on hand to help.